I have been working in studios for almost 20 years, and the V-Series is the link between past and present. Amazing sound, great definition, space and depth-sensation... Fast and accurate response with transients, what else do you need? 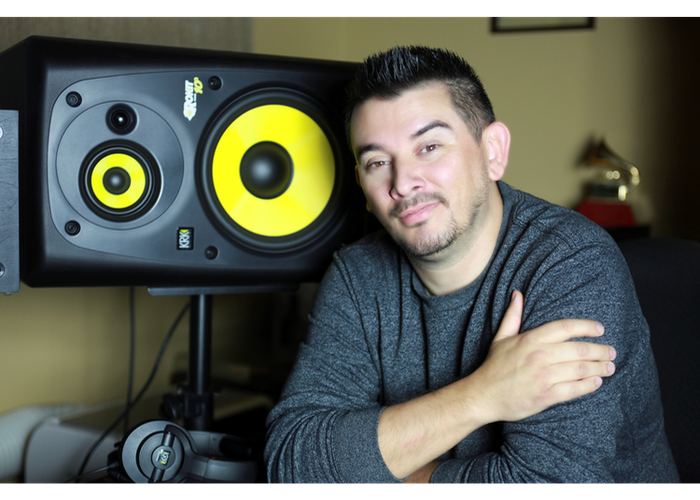 Latin Grammy winner and Grammy nominee Arturo “Turra” Medina is a renowned Music Producer/Mixer Engineer/Drummer who has work with top Latin and American artists from across the Americas. With a wide variety of influences, Turra can go from working on alternative to pop, or from rock to cumbia with ease. With more than 20 years working in the music industry Turra is one of Latin American influencers in audio and music creation. One of Turra’s mixes, “Déjenme Llorar” from the Carla Morrison Album has become a reference song for KRK monitors whenever there is a presentation in Spanish. 4" near-field studio monitor featuring a 85 watt bi-amped class d amplifer.